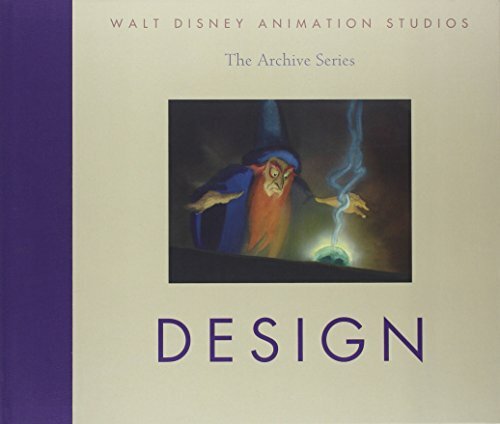 Whether it consists of quick sketches on a lunch counter napkin, elaborate paintings in oils or watercolors, or dazzling computer renderings, the unparalleled creative process of Disney artists is lavishly showcased in Design, the third volume of The Walt Disney Animation Studios - The Archive Series. Among the incredible talents featured in this volume are Albert Hurter, Ferdinand Horvath, Joe Grant, Maurice Noble, Gustaf Tenggren, Tyrus Wong, Kay Nielsen, David Hall, Mel Shaw, Mary Blair, Bianca Majolie, Yale Gracey, Eyvind Earle, Walt Peregoy, Ken Anderson, James Coleman, Jean Gillmore, Rowland Wilson, Glen Keane, Chris Sanders, Andreas Deja, Mike Gabriel, Mike Giaimo, Hans Bacher, Chen Yi Chang, Paul Felix, Aaron Blaise, Ian Gooding, and John Musker. Design represents a rare opportunity to again enjoy a glimpse into the truly spectacular trove of treasures from the Walt Disney Animation Research Library.